Recently, in furtherance of our efforts to stop funding terrorists at war with Israel, we filed suit under the Freedom Of Information Act (FOIA) against the U.S. Department of State to obtain documents relating to the Carter Center’s taxpayer funding and the possibility that it may have provided “material support or resources” to designated terrorist organizations including Hamas and the Popular Front for the Liberation of Palestine (PFLP). The ACLJ issued a FOIA request on March 1, 2018, to State Department, and – as is customary for the agency – it failed to comply with federal law and issue a determination on the ACLJ’s FOIA request. President and Mrs. Carter and The Carter Center have worked to support a viable two-state solution to the Israeli-Palestinian conflict and to promote comprehensive peace in the region for decades. The conflict between the major Palestinian political parties Fatah and Hamas has been a particular focus. Palestinian national unity is critical to the success of a two-state solution and the conflict has fractured Palestinian democratic institutions and fed a spiral of intra-Palestinian human rights abuses in the Occupied Territory. 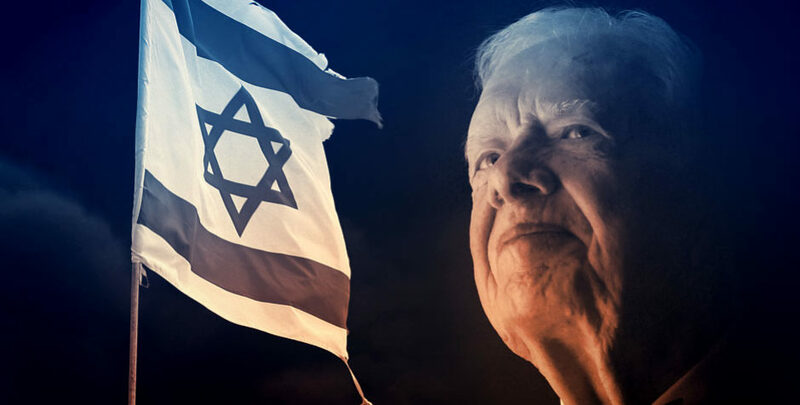 It is well known that former President Jimmy Carter and his Carter Center are no friends of Israel. The Carter Center’s website subtly indicates its view that Jerusalem is within Palestine. Of course the United States has recognized Jerusalem as the capital of the State of Israel, something the Carter Center has criticized the Trump Administration over. Not so subtly, the Carter Center also openly describes its regular contact with Hamas – designated by the State Department as a Foreign Terrorist Organization (FTO) since 1997 – stating that “The Carter Center works both with grassroots activists and with high-level decision makers in its efforts to further conflict resolution, human rights and democratic development in Palestine,” and that the Center maintains “regular contact with leaders of the two largest Palestinian political parties, Fatah and Hamas.” For context, other organizations carrying this same designation – FTO – include ISIS, al Q’aeda, Boko Haram, and al-Shabaab. The Carter Center received $306 million in cash, pledges, and in-kind gifts in 2015-2016 alone. The State Department and U.S. Agency for International Development (USAID) are listed as donors, alongside the Open Society Foundations founded by George Soros, the U.S. Middle East Partnership Initiative, and a number of Islamic government donors. In 2016 alone, the State Department and USAID fell into the highest category of donors to the Carter Center – donating a minimum of 100,000+, and $1 million or more over the lifetime of the Center’s existence. In fact, the Carter Center has reported over $4 million in accounts receivable from the federal government. Investigations from other groups and sources have exposed a very troubling set of circumstances: over the last several years the Carter Center—President Jimmy Carter’s non-profit in Atlanta—may have been diverting some of its funds to provide “material support or resources” to Palestinian terrorist groups like Hamas. In doing so, the Carter Center has not only gone against American interests, but has also very possibly violated federal laws that criminalize the provision of “material support or resources” to such organizations. Accordingly, the ACLJ has requested that the State Department produce all records regarding any U.S. funding/aid provided to the Carter Center and all records regarding Carter Center’s involvement, interaction with, or provision of support to Hamas or the PFLP. As we knew all too well, our FOIA Request would go unanswered by State Department for years unless and until we filed suit to obtain the documents to which we are entitled. Now we will finally get some answers in court.